ON THE GO OC - Things to do with your family. : Visit Santa's HQ at Lakewood Center This Holidays Season! Visit Santa's HQ at Lakewood Center This Holidays Season! Get your Holiday plans on now. 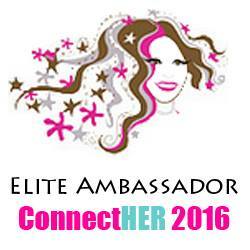 I love to plan ahead for some events that we just do not want to miss. Our photos with Santa have always been tradition but the last few years we have had a lot of fun visiting the Lakewood Center for Santa's Headquarters! Lakewood Center, in partnership with HGTV, is hosting the North Pole’s most prominent resident at ‘Santa HQ.’ Families are encouraged to partake in an interactive, digital experience at Santa’s workshop. 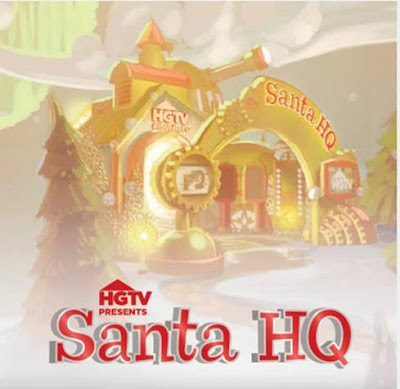 Guests will be engaged during their visit with Santa due to Santa HQ’s incorporation of an augmented reality environment and captivating social media experience. Upon entering Santa HQ, kids will learn if they are on Santa’s naughty or nice list after being “scanned” at the Naughty or Nice O’Meter and spend time at an observatory to catch a glimpse of Santa’s remarkable world through special tablets. Visitors will also be able to take an “Elfie” (a photo opportunity as a dancing elf) and much more. Early Bird photo packages are also available starting at $39.99. As an added bonus, guests can start to make reservations with the man of the hour starting October 1 by visiting www.santa-hq.com. Shoppers also are invited to bring in an unwrapped toy and participate in Help Through Holiday Giving. Lakewood Center hopes to collect and donate several hundred toys to California Highway Patrol Chips4Kids toy drive. Lakewood Center is partnering once again with non-profit organization, Adopt & Shop for Pet Night events. Guests are encouraged to bring out their furry friends for a fun family photo with Santa. Adopt & Shop will be on site with pets looking for forever families. Wait there is more... Wishing for more jingle this holiday season? On Black Friday (November 24), random lucky shoppers will be surprised with a promotional gift card at the Santa HQ set as part of the Spreading Holiday Cheer sweepstakes. So don't forget the time frame to get your littles over to Santa's HQ too - November 10 - December 24 - Santa HQ is located in the Center Court next to Macy’s. For more information on Santa HQ’s operating hours, please visit: http://www.shoplakewoodcenter.com/Events/Santa_2017. November 13, 20, and 27; December 4 and 11 | 6 p.m. - 8 p.m.
Have Fun This Winter All!